This DevOps Certification Training Course will prepare you for a career in DevOps, the fast-growing field that bridges the gap between software developers and operations. You’ll become an expert in the principles of continuous development and deployment, automation of configuration management, inter-team collaboration and IT service agility, using modern DevOps tools such as Git, Docker, Jenkins, Cucumber, Ansible, TeamCity, and Nagios. Why should I enroll in this DevOps course? There is an increasing demand for professionals who understand both the development and operational side of the software development and deployment process, making this DevOps training course well-suited for those who wish to enhance their marketability for these highly prized roles. DevOps jobs are highly paid and in great demand in a wide range of popular industries. 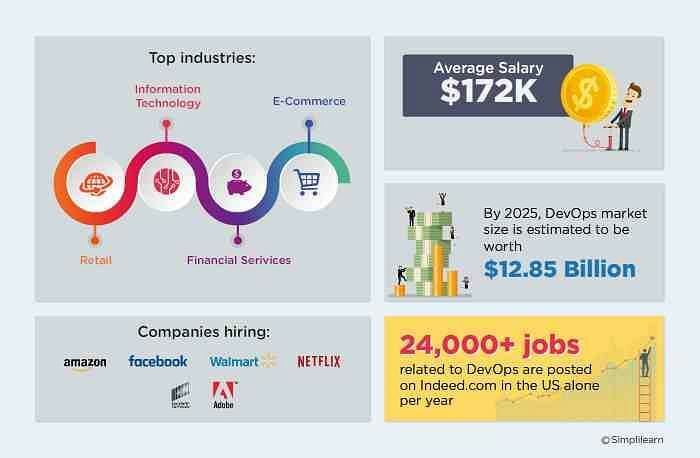 There are 24,000+ DevOps jobs according to Indeed, with an average annual salary of $172,216 for DevOps Managers and $141,476 per year for DevOps Engineers respectively. This online training course is ideal for participants at all levels of experience. Simplilearn’s DevOps training course is designed to help you become a DevOps practitioner and apply the latest in DevOps methodology to automate your software development lifecycle right out of the class. You will master configuration management; continuous integration deployment, delivery and monitoring using DevOps tools such as Git, Docker, Jenkins, Cucumber, TeamCity, Ansible, and Nagios in a practical, hands-on and interactive approach. 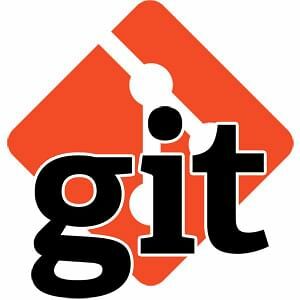 You will also learn to implement Docker, version control systems, and many more. 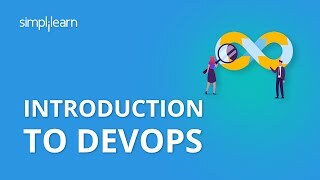 What skills will you learn in this DevOps training course? Who should take this online DevOps training course? DevOps career opportunities are thriving worldwide. DevOps was featured as one of the 11 best jobs in America for 2017, according to CBS News, and data from Payscale.com shows that DevOps Managers earn as much as $172,216 per year, with DevOps engineers making as much as $141,476.